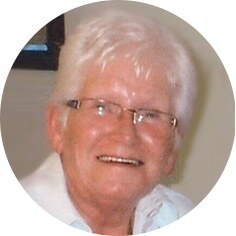 The family of Ingrid Helene Smith (née: Krikke) are greatly saddened to announce her passing on Wednesday, December 26th, 2018. She was predeceased by her loving husband, Don Smith; parents, Gerhard and Sophie; sister, Ruth; and in-laws: Reg, Olive, Doug, Florence, Ruth and Ed. Ingrid leaves to mourn: her son, Dan (Deb); daughter, Gloria (John); and grandchildren: Lindsay, Courtney, Melissa, Matthew and their families. Ingrid was born on in Holland but called Canada home. She will be sorely missed by her family and many friends. In keeping with Ingrid’s wishes, a private family service will be held. Flowers are gratefully declined. As an expression of sympathy, donations in Ingrid’s name may be made to a charity of one’s choice. Arrangements are entrusted to Moose Jaw Funeral Home, 268 Mulberry Lane. Todd Sjoberg, Funeral Director 306-693-4550. Deepest sympathies to the families. We had a lot of good times with your mom. I’m sure she will be missed by many. Sorry to hear of the passing of your Mom. We always enjoyed the times our families spent together. Sorry for your loss of Ingrid. Eva & I enjoyed Don & Ingrid’s company for many activities for many years. After Don passed I called Ingrid often to keep her updated on our Kalium friends. We mutually enjoyed those calls. As all of you will, I will miss her but we can rest assured knowing she’s waiting with God in Heaven for us to join her. RIP Ingrid. Ken and I were saddened to hear of your mom’s passing Gloria. May knowing that she is in a plane of peace, joy and love together with your dad help heal your pain. How fortunate your mom was to have the beautiful daughter you are and enjoy making so many treasured memories with your family over the years. May these all be of comfort to you in the future. Please accept our deepest condolences at your Mom’s passing. We will keep you all in our thoughts and prayers. PS. I have lots of fond memories involving you both and your Mom & Dad. My deepest sympathy. Some of the best times of my life were spent with all of you at the Pollon Reunions. I will keep you all in my thoughts and prayers.